RBTH presents a gallery of ten unique Russian mosques, from Moscow to the northernmost city in the world. 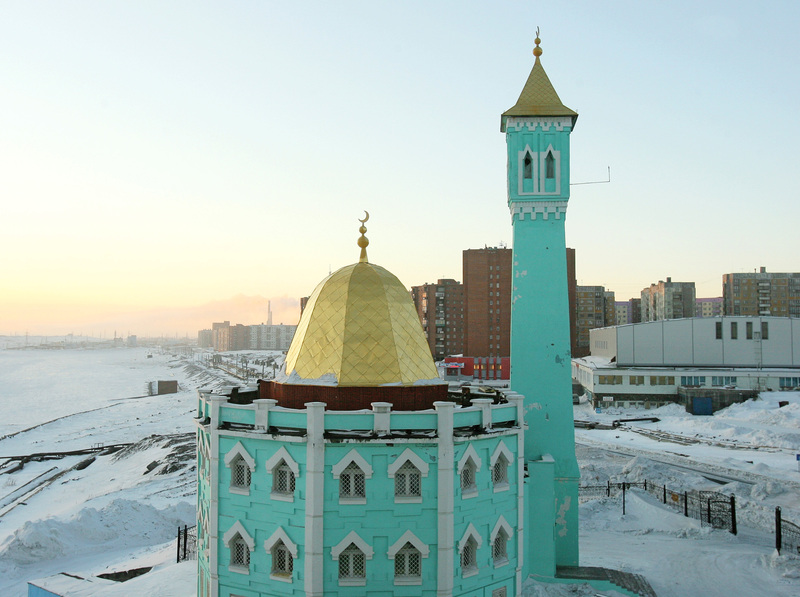 RIA NovostiThe Nurda Kamal Mosque is located in Norilsk, an industrial city in northern Siberia. Opened in 1998, the building is listed in the Guinness Book of World Records as the world’s northernmost mosque. Valery Sharifulin/TassThe Central Moscow Mosque (Moscow Cathedral Mosque) was reconstructed and is now the biggest mosque in Europe. The six-floor mosque has 79-meter high minarets, which are the tallest in Europe. LoriThe Blue Mosque was founded in 1910 on Petrogradsky Island, the third largest island in the Neva River delta in Saint Petersburg. The dome of the mosque is almost an exact copy of the mausoleum of Tamerlane in Samarkand, Uzbekistan. RIA NovostiThis unique mosque is located in Dzhalka, a village in Chechnya. The mosque was named in honour of Sultan Delimkhanov, a village official who was murdered in the 1990s. It can accommodate 5,000 worshipers. Press photoThe Jumah Mosque in Derbent, Dagestan was built between 733 and 734 AD, and is the oldest mosque in Russia. The mosque is listed in the UNESCO Cultural Heritage Register. RIA NovostiOne of the richest families in Turkey financed the construction of the Grand Mosque in Makhachkala, Dagestan in 1997. After its renovation in 2004–7, the mosque can accommodate 17, 000 worshippers. LoriThe Kul Sharif of Kazan was built on the spot where the legendary minaret temple, which was destroyed by Ivan Grozny during his campaigns in 1547-52, stood. The mosque with six 55-meter high minarets is part of the Kazan Kremlin Historic and Architectural Complex, which was declared a World Heritage Site in 2000. LoriThe main Muslim center of the republic of Bashkortostan, the Great Mosque-Madrasa Lala-Tulip was built in 1990-98. As per the modernist design, the 53-meter high twin minarets stand apart from the main building, which has the prayer hall. Press photoThe Bulgar Mosque in Kazan is the only one white color mosque in Russia. According to the Muslim traditions, white symbolizes purity and peace. Muslims also wear white color clothing while attending Friday prayers and performing sacred rites of pilgrimage. The Bulgar Mosque also keeps the world’s largest Quran, which is encrusted with jade, gold, phyanite and silver leaf. Press photoThe Heart of Chechnya Mosque, named after first president of the Chechen Republic, Akhmat Kadyrov was built in Turkish style, resembling the famous Blue Mosque in Istanbul. The Heart of Chechnya is also equipped with web cameras, placed outside the Mosque, and streams live 24/7.